Fear takes a new shape. Well isn't this just a bit creepy. 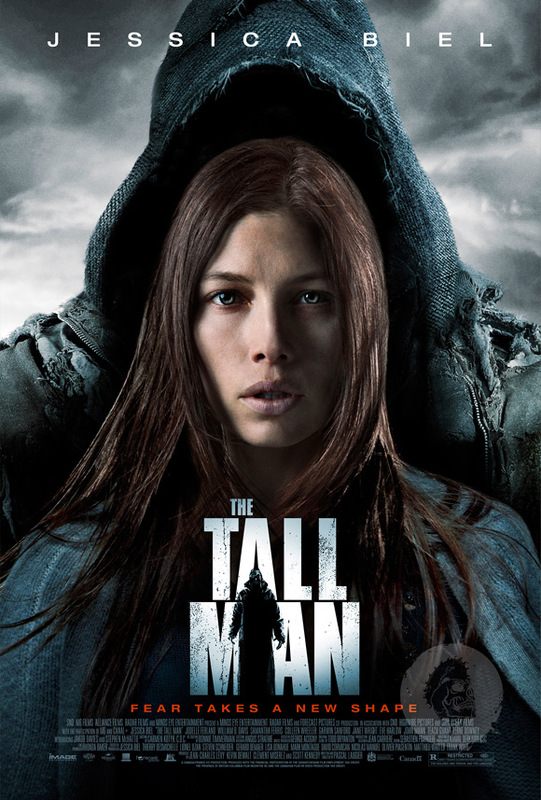 Our friends at Bloody-Disgusting have debuted the first official poster today for The Tall Man, a horror thriller from French filmmaker Pascal Laugier (of Martyrs). We featured a first look at this back in 2010, but haven't heard a word about it since then until now. But it looks like they're finally ready to give us a little tease of the "Tall Man" himself, standing eerily behind Jessica Biel, who stars in the film as a nurse who wakes up one day and sees a tall man holding her son. I just really like how instantly unsettling this design is, right at first glance, with that guy. See it below! Martyrs ruined my life. In a good way. Dear Alex First time I saw " Martyrs " , I cry. Couldn't sleep the night. Film grab me so hard. Very Original , Gritty , Horrifying , Shocking , Bloody , Sadistic , Masochistic horror picture. Bone Chilling. Exactly like Alexandre Aja's High Tension (even more dreadful ! )Then I was eager for his next project , when he said he want make TallMan with Cristian Biel I said to my self : that's it, he did it again! But film show in some other countries and get 4.5/10 in imdb!!!! Biggest disappointment was for me. I cant tell " Martyrs " was accident but I say I forgive him for this probably doomed project. Aww, I was hoping for more of a Slender-Man style bad guy. 😉 I guess the legend surrounding the Tall Man is the same, though, what with abducting kids and stuff. Anyways, I'm a huge horror fan so I'll definitely check this one out eventually. What happened with Jessica Biel? She hasn't starred in a good film since The Illusionist way back in 2006. I hope this movie will re-launch her career, although horror movies rarely do that. Looking generic and killers are mostly tall, I mean you don't see a lot of dwarfs being the villains so..
Oh man, this is too funny. Just last night I was watching "A Haunting" on the Discovery Channel and they had an episode about this movie. Lol. Looks like the killer stole Rob Zombie's Michael Myers's clothes. Tall man? Jessica Biel sure makes me an erect man. For me the TALL MAN was and will always be the main villain in the Phantasm series.